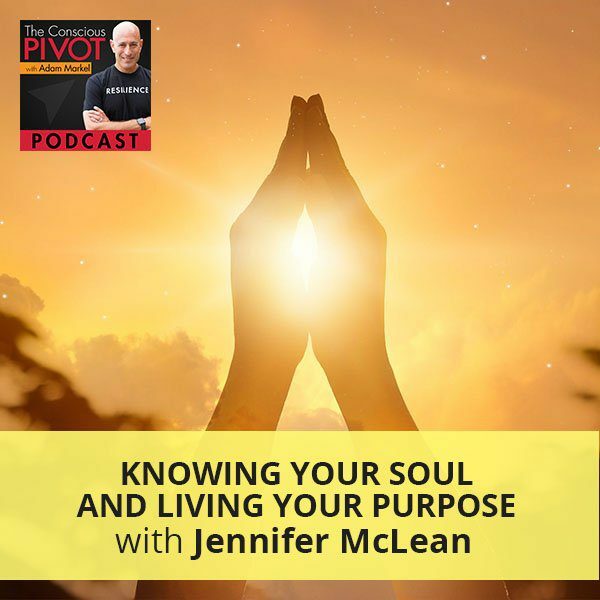 Jennifer McLean believes that the soul is our guiding force. She contents that if we listen to it’s inspirations and impulses, it will guide us on a pathway so much better than our minds could ever imagine. Jennifer is an internationally acclaimed healer, author, speaker, edge pusher, and transformational change agent. The battle of her life has been to listen to the soul and not the fears, worries, upsets, and stresses that the mind creates. As a result, she is the creator of the renowned healing accelerant, the Spontaneous Transformation Technique (STT), that delivers instant transformation and healing in seven to ten minutes. Jennifer shares that, on paper, she was the definition of success. Yet, she was burnt out and unhappy in her business and life. Jennifer unpacks the challenges she faced and the pivot she did in order for her to finally love her life. I am happy to be here at this moment. There’s definitely a distinction or a difference between joy and happiness. I’m not knocking happiness. It’s a good thing for sure to feel happy. The way I personally look at the difference between those two things is that when I’m happy, I tend to have things going my way. That’s basically it. That’s not often the case. I have nothing but blessings in my life and lots of things to be grateful for. I have plenty to be happy about. Yet at the same time, it’s not my goal to be happy. It’s not my goal, on a spiritual level, to have things always happen the way I want them to. That’s unrealistic. I don’t know if that sets me up for success. It probably doesn’t set you up for success all that much as well. Joy is different. Joy is accessible to all of us. By joy, I mean the way I feel inside. I consciously choose to feel good in my circumstances, regardless of whether they’re going my way or not, even when I’m doing the things that I might not want to be doing at the moment. We’ve got two big dogs that we love and have been with us a long time, Wilson and Duncan. Walking them when it’s cold at night or it’s raining out or when they decide at the least obvious moment to do their business, I’ve got to figure out that I’ve got to go get a bag. I don’t have a bag with me. I’ve got to figure out cleaning that all up. It could be something I would be annoyed by. I catch myself in those moments, instead of being annoyed, using that as an opportunity to feel the way I want to feel. To feel joyful even while I’m doing something that is not what I would choose to be doing, like walking in the cold and cleaning up after the puppies. It reminds me of when I was having a conversation with a dear friend about his habit of gratitude. A habit of gratitude is important. He basically was sharing with me how he blesses everything all the time. He’s constantly in blessing mode, in gratitude mode. At this moment, I am in joy. I am feeling great. Certainly, things are going my way at this moment because I get to spend this time with you. I get to spend time with a dear friend, somebody that I’m going to introduce you to in a moment. We’re going to get to spend some time, all of us together, in conversation. That’s great and I feel joy for that. Regardless of whether things were going well for me at this moment, I feel grateful. I feel happy to be alive, joyful in this moment, feeling peace inside. At this moment, wherever you are, wherever you’re consuming this content, you might be doing a million different things. I get messages from people from all over the world. Wherever it is that you are, take a moment, take a breath and pause for a moment. Keep your focus. Take a moment for yourself. Breathe to feel grateful, to feel joy inside. I feel good. In fact, let’s take a breath and release it. That feels wonderful. I said I have a blessing and that is to be able to spend time with a friend and share that conversation with all of you. She is an amazing woman. Jennifer McLean is an internationally acclaimed healer, author, speaker, edge-pusher and a transformational change agent. She is the creator of the renowned healing accelerant, the Spontaneous Transformation Technique, also known as STT, that delivers instant transformation and healing in seven to ten minutes. With over 800 practitioners in training in this unique system, it is quickly becoming the go-to for creating rapid change in extreme times. For more than two decades, STT has helped tens of thousands of individuals shift their energy in the body. Jennifer is also the author of five books. She has appeared on Fox, ABC, CBS, online summits, and covered in renowned publications. She is also the creator of dozens of online healing programs and is the producer and host of the renowned Healing With The Masters online media franchise that’s reached more than a million people in over seventeen seasons. Jennifer, welcome to the show. At this moment, what is something that you are grateful for? I am grateful for the crazy crap that shows up in my life that is constantly asking me to wake up. I know that sounds weird, but I’ve gotten to the point where I love the moments of resistance because that is where my goal is every day. That’s what I’m grateful for. When I use it and I don’t wallow, I can find places within me that I didn’t think were possible. I can find places within me that provide the bread crumbs to who I am, what my soul is and what I’m here to do. A year or two ago, I would have never said that, but I love my life. I have a great life and I love when my life shows me who I am. Why would you say that a year or two ago you might not have thought that or believed that? Knowing Your Soul: No one is deserving. If you’re deserving, it means that someone else isn’t. I resisted the resistance. I fought the resistance. I shook my hand at God and said, “How dare you? I’m a good person.” I’ve come to realize it has nothing to do with that at all. It has nothing to do with the victim or whether I’m being punished or rewarded for that matter. I’ve even changed the way I look at deserving because no one is deserving. If you are deserving, it means that someone else isn’t. It means somehow at one point you weren’t deserving. A couple of years back, I was in such a different state. I had a lot more ego going on. I was adorable in the ego. Aren’t we all adorable in the ego? We can love ourselves even when we’re aware of the fact that we’re in our ego, in the part of our ego that’s not the healthy part or overstepping into other people. I was an ego. I talked a good game about being of service and money was second, but I realized in hindsight that wasn’t true. A lot of this stuff is deep in the subconscious. I was doing the best I could until I could do better. Things were good. Things were rolling along. You were winning the game, probably winning the money game. I was winning the money. I was running a $6 million company. I was successful. Healing with The Masters was a huge hit and reached many people. It made me happy that it was transformational. To this day, I still have people come up to me and tell me how much it changed them and helped them. I realized in hindsight that that was secondary. It makes me sad to think about that, but I did do well despite the fact that my ego was a little bit overwrought. You can cut yourself some slack there. If you’d never created a massively successful company before, it was all new territory, not that each day isn’t new territory anyway. It’s interesting you said none of us are deserving. If any of us are deserving, then that means someone else isn’t deserving. It’s an interesting perspective. I’ve not heard someone say that before. Would you share a little bit more about your philosophy? I am a Philosophy major. I investigate the energy behind words. A lot of confusion in communication comes from the meaning that we have personally attached to words. Someone says a series of words, we throw a whole whack of meaning like a monkey throws poop and we say, “That’s how I am going to base my happiness on what those words mean to me.” One of the words that I used a lot was deserving and it wasn’t serving me. I deserve it. When I deserve it, it means that I don’t have it. When I’m in a place of, “I deserve it,” I’m in a place of entitlement. I deserve because of something. This goes along with the philosophy of doing to get. I teach a lot about prosperity and doing to get is not necessarily how it works. It’s sometimes the first step. I want that thing, and then I need that thing. In order to get that thing, I have to do something. It’s understandable, but it’s not the pathway to abundance. The pathway to abundance is being to receive. This notion of deserving goes along with the doing to get energy. When you are you and many people do not know who you are, including me a couple of years ago. I didn’t know, even though I thought I did. When you know in your core who you are, then you can allow that to fuel every part of your life, you are now being. That creates a natural mechanism of opening. The abundance can land upon easily and effortlessly. When you’re thinking about the meaning of deservedness, it was in a context of entitlement. It’s not to say that we aren’t all deserving, because on some level there’s no inequality of that. We’re all as deserving as the next person of whatever the moment has in store for us. If we’re present and we occupy the moment, then we’re deserving and we can receive anything that’s there for us. Everyone has meaning thrown at words. I unpacked that word so much that it changed it for me. It’s not even part of my vocabulary anymore. You can throw the meaning of deserving as being a place of being. You can throw meaning at anything and if it works for you, great. I’m not here to bash the word deserving truly. It’s such a great way to look at something differently. Even receiving, there’s always this bit of a tug of war between giving and receiving. My dad still says from time to time to me that there’s a front and back to everything, there’s receiving and giving. How could one be better than the other of the two sides of the same coin if they are mutually dependent upon one another? In order for there to be a giver, there has to be a receiver and vice versa. You said you love your life. I want to explore that a little bit more because your business was doing well. With the economy and other things, I’m sure like many businesses, including the ones that I’ve been involved in, there were challenges. Could you walk us through that and what the pivot was for you there? Was the pivot something you did? I’m guessing probably not, but who knows? Was it something that you were being? Was it more of a pivot in the head? Was it a pivot in the heart? Was it a pivot at some other area of your life? I have a philosophy that my soul is the guiding force. If I connect with the soul or listen to the inspirations, the impulses of my soul, then it will guide me on a pathway that is much better than my mind could ever imagine. The battle of my life is to listen to the soul and not the fears, worries, upsets and stresses that my mind creates. I was stressed out in my business. I am not a natural manager. I’m a visionary CEO, so I’m more in the vision that I am in the day-to-day, and it’s difficult. The day-to-day of any business is not necessarily easy. That’s a belief that could change if my point of view changed. I’m throwing meaning at that. I’m aware of that. That’s such a great visual. People reading this can relate, “I completely get what that is.” How many of you even in your day-to-day lives are hanging on with your fingernails to something that the soul has said no to? There’s an a-ha moment when you go, “That’s right. My soul said no.” It doesn’t matter what you do. You look around the marketplace and other people are still doing okay. You make excuses and you say, “These people aren’t doing as well as they used to,” when you’re doing crap. The mind is having a hard time. When we move from that place of, “What do I do to improve my business?” into a place of being, to me that is the true success. From a financial perspective, I went from $6 million to $1 million. That’s a big jump. I let go of my entire team. It’s been an intense time and there have been many moments of stress. I’m coming to what I said I appreciate. I appreciate all that happened that brought me to this moment because I, as a soul, am much more successful at 90% less of my business than I ever was there. The outward look of success, of money and financial abundance was great, but I realized that I was not happy. I was not in joy. I couldn’t even find joy. Now, I find joy every day. I work a lot less. It’s only me. I’m a full-on solopreneur again. I’m having fun as a solopreneur. I’m having fun because I’m exploring things. My being, my soul is in my business again, which it wasn’t before. I definitely advocated my business to people who didn’t care as much. I know that there’s a pathway to a little bit more income. I can feel it and it doesn’t matter. As long as I’m living my core, I know that divine supply is always there. I recently understood what my core is. I discovered that my soul is a giver. That’s what my soul is. My soul loves to give. 93% of my business has always been giving away stuff for free. I realize in hindsight, a lot of my business decisions were soul decisions, that place of being rather than doing. I’ve discovered truly that the nature of my soul is to give. What that means is that when I give, I get filled up. That’s how you know you’ve landed on it. It brings tears to my eyes. When I give, I get filled up. I got confused because I thought I needed to receive. That part of the giving creates the energy of receiving. It creates a value exchange that creates a natural ability to receive. I was experimenting with this. I looked at my friend and I said, “What’s her core?” Her core is to help to change the dynamics of any situation from negative to positive through love. That’s her core. When I talked to her about it, she was like, “That’s it.” That’s where she gets filled up. Another friend of mine, I asked her what she is. We discussed it and she realized that she’s fertilizer. She helps people grow. It’s basic, it’s kindergarten-y. When we finally get to know what our soul is, we can be that without any conditions, attachments or expectations. If we could be that part of our soul, it makes everything simpler. We don’t have to do anything to improve. We don’t have to do anything to get there. There’s nothing there anymore. There’s just being. It’s never an accident about anything. I don’t believe in randomness. You and I connected at a TLC meeting. We’re both lucky enough to have that organization as part of our blessing. There are no accidents. I was doing a Facebook Live where I was unpacking some thoughts on purpose. It was about identity first and then purpose. I was sharing that my own personal belief is that our purpose isn’t doing at all but is a being in fact. Being ourselves, to discover ourselves, to be our presence, the authentic presence that is us, is our purpose. People who are looking for a job, an activity, a calling, a foundation, someplace that they can volunteer or give, they’re seeking a purpose in that way. It’s all on the outside. All the juice and all the fruits are on the inside. I did a program recently called the Feel Better Challenge. On day two, we looked at the journey to our core and journey to the descriptors of our gifts. It’s similar, the descriptions of our gifts. One of them said, “I’m a good listener,” and that’s basically their core. They’ve got it. Their purpose is to listen. My purpose is to give. My friend’s purpose is to change the dynamic of the negative. My other friend is this beautiful fertilizer to help grow souls. What else could we possibly do that’s better than that? Knowing Your Soul: My purpose is to give. What else could I possibly do that’s better than that? I haven’t found anything yet. My purpose is to be a channel for love. When I am being my actual, authentic self, I am genuinely working in the pursuit of opening hearts, being a model for love and opening a space for love, whether it’s in conversations with people, whether it’s podcasting or delivering programs. You had been to our More Love marketing program. Our company is called More Love Media. There’s the brand from the core. This can go into the world. This is not where you’ll stop. I always knew that giving was my thing, but now I know that giving fills me up. That’s the key. When you get your purpose, you know what fills you up. It’s like a pitcher that doesn’t have any water in it can’t share anymore. If you keep filling your pitcher, I know that my pitcher gets full when I give. I could have a thousand specialists tell me, “Stop doing so much for free.” I’m going to say, “F you,” respectfully. You don’t live at my core. Many coaches out there are not operating from this place. That’s why you’re such an amazing coach because you operate from a place of seeing people who they are and adapting the coaching to the individual. Instead of you have to do step one, step two, step three, step four, the steps are all there. They’re overlaid, inlaid, and infused with the soul which changes the dynamics of each step. We can bring this core into the world, in a business. To me, consciousness is shining the light of consciousness. It’s being present with, “I am a giver and it fills me up,” and it’s almost all I require, is to give to then be filled up by that giving. At that moment, that opens up space for us to be in contact with this greater part of us to receive the impulses of what’s next. When we do that, we’re living a life that has much grace and ease. Does life still not give us amazing, interesting turns? Of course, it does. It’s life. They’re called pivots. The question is, “How is it that you respond and that you are able to utilize, even alchemize, and create alchemy from those turns and twists, those pivots, in a conscious way?” The alchemy to me is the consciousness that you apply to those turns in the road. It goes unexpectedly. Many companies don’t make it. They don’t make it past their first year. They don’t make it past their fifth year. The statistics are all over the place, but they’re all in the high 90%, it’s 95%, 97%. Even the most successful companies of all time, when they haven’t pivoted, when they haven’t innovated, when they haven’t been able to look at the road ahead and realize that change is coming. That they would have to adapt and would have to potentially reinvent or iterate something new, whether it be a product, a service or way of conducting their business. If they didn’t do that, they disappeared. Lehman Brothers is a great example, Kodak, Polaroid, tons of those companies. In fact, in the 1955 list of the 500 most successful companies in the world, the Fortune 500, that’s when it was created. Of that list, 88% of those companies now don’t exist, but yet the products and services for the most part do. The industries do, but they don’t. The 500 most prolific, incredibly successful, gargantuan-sized companies at that time, they’re not around because they couldn’t answer those questions. Steve Jobs is such a perfect example of this. This is a man who lived from his core. He wasn’t the nicest guy because he lived in a world that didn’t appreciate that or honor that. He had to fight and scrap in order to do that. He was able to pivot Apple several times because he was able to move from his core. It’s not a strategy. It is a strategy, but it’s not a strategy and a set of tactics anymore. This is a business and I can’t wait until business starts catching up to this idea. It’s not a tactic, it’s not a strategy. It’s the core that guides us, that allows us to connect with a greater part of us that guides us to what’s next. Sometimes, it’s completely reinventing your company as I have. I’m 100% focused on getting my Spontaneous Transformation Technique into the world. It feels good because I’m giving. It’s fun. It couldn’t be more fun for me too because we’re in the process of writing our book which is called The Next Pivot. It is about what we’re discussing. The Next Pivot, it’s the next thought you think. It’s the next moment in time that you have an opportunity to be, to be present, to be guided, instead of being on guard. To be guided instead of having to protect things. Instead of protecting things, you get to project into the future what it is that your being wants, what your soul is calling for. That is a courageous path because that level of faith and trust that you have to have in your soul’s journey is profound. It creates the most amazing things. Yet, what we know and what we’ve experienced like an old, comfortable slipper, we don’t want to stop that. One day we look down and that freaking slipper of our life has holes in it and that is useless. Yet we hang on to that slipper because it’s known. The greatest risk is not to risk. That’s the quiet desperation that Henry David Thoreau spoke about. People living, the masses living lives of quiet desperation, ignoring your soul’s calling or the development of the soul because you’re protecting the status quo. That’s what leads to extinction. That’s what leads to death. How do you define the soul, Jennifer? The soul is a little prism that refracts the light of a greater part of us, the infinite and the eternal. Our soul is this beautiful prism that refracts the light of all the pieces of us, of the being, of the core of who we are that shows up as our gifts. We’re this little filter that this infinite, eternal energy moves through to refract through us into the world. To create something in the world that supports our fellow conspirators of love, which every single person is. The soul is this beautiful jewel of love that has the opportunity if it’s not covered up with layers of beliefs that have been created from moments of trauma and upset, which is usually where beliefs come from. Beliefs come from a moment of upset that we made a conclusion about what life is. They create these little layers that dim our light. Our light can never be extinguished ever. That what was meant for us can never be lost ever. The opportunity is for us to beautifully and gently peel away those layers of beliefs that we have created that are creating the prism of creation in our life and move into that pure definition of who we are at our core. Love it and embrace that core profoundly that that light not only shines through the prism but expands. The light that’s being refracted through that prism is strong that no one can ever dim it again. At a certain point, you recognized that your soul was saying no. What came up for me when I heard you say that was, and many people reading this would be thinking the same thing. What were the signs that your soul said no? If what we want to do is listen and then obey, pay attention, and do something in response to our core talking to us, what were the signs that your soul was calling out and saying no? No to the business or the way you were doing business. Knowing Your Soul: If your happiness is relying on someone else changing, you’re in big trouble because there’s only you that can change that. Unfortunately, at this time in humanity’s evolution, the clear sign that your soul wants to change is pain and suffering. When we are in pain and suffering, it’s a clear sign. I had a lot of physical upset and I had a lot of emotional upset in those moments too. My thoughts were not happy thoughts. The outside world then reflects that. We think that it’s that thing out there that’s making me unhappy, but it’s me unhappy that’s creating the thing that appears to be making me unhappy. If someone out there has to change, if your happiness is relying on someone else changing, you’re in big, freaking trouble. There are only you that can change. I felt like I was dying. At that moment I was like, “I’ve got to change.” What happened from that day forward is that every time something showed up, I call it going to the neural pathway gym. At that moment, I created a new neural pathway of, “I’m not doing this anymore.” I created a new neural pathway of, “I’m going to say yes to the things that fill me up.” I didn’t exactly know what those were then. Life will continue to show up in all of its craziness to reveal to me the things that were ready to be healed, seen, observed and the limiting beliefs that I had. I looked back down, I’m so different now. I have much more kindness and compassion. My sister passed away in 2013. She was my best friend. For the first time in my life, I had compassion. I didn’t even know what it was. I saw the difference between who I was before she died and who I was after she died so profoundly that I wrote a letter to my tribe apologizing. Here I am a healer, not close to the compassion I required to be a healer. I got it. I made a decision to be a healer. Life showed up and said, “That’s your soul’s journey for sure. There are a few things we’re going to have to change here. You better be kinder, better be more compassionate, and not only to others but to yourself.” We have these moments of pivot that, unfortunately, often show up as pain and suffering. That’s what gets most of us off the couch. I believe there is a day coming when that doesn’t have to be the case anymore. For most of us, that’s it. That’s a sign. The opportunity for me is to recognize it at the moment and use it as a point of resistance that is a good point of resistance. That’s why I call it the gym because resistance training at the gym grows muscles. Resistance training in life is using what’s showing up that is uncomfortable as a foil to push against, to grow the better parts of us. I go to the neural pathway gym every single, freaking day. It’s a mutual friend who created a company called NeuroGym, John Assaraf. When we talk about the neural pathway gym, it reminds me of something that I’m thinking of as a workout of sorts. I call it a practice, but we’ve created rituals. I’ve created rituals in my life that have helped me to maintain that presence. The wisdom that I want to have at the moment versus the wisdom I get to have when I mess something up and then later on, get to look back and go, “I made these mistakes. Now I have the wisdom of the error.” We all love that, that’s something we all want to sign up for. How many more mistakes can I gain that create a joyful moment of wisdom to look back? The opportunity to make spontaneous, right decisions is a key thing. I remembered hearing Deepak talk about spontaneous, right decision-making, might have been in one of his books from early on. What are some of the rituals that you have or conscious practices, habits even, that keep you on the path that you’ve been describing, which is the path of compassion, kindness, humility and presence? My Spontaneous Transformation Technique, I designed it and created it for me. I used it on me long before I started using it on my clients. It’s an actual practice. It’s a practice of using the moment of an upset of which I had a lot. I had a difficult childhood with sexual abuse, alcoholism and narcissism. It was an all-star dysfunction. My soul chose something difficult likely so that I could have compassion and capacity to see how everyone is feeling. I created Spontaneous Transformation because I was extremely reactionary. I was a reactionary person. I came by it, honestly. My father was a reaction-aholic. Instead of allowing it to spiral me down, I used it. I use it every day still. Every time I move into a moment of reaction, which is a lot less. Instead of 100 times a day, it’s maybe once. Sometimes I might even go a day without it. I use it at that moment and I go into the Spontaneous Transformation Technique, which is what is happening at the moment. What’s upsetting? What are you feeling? What’s the emotion behind it? Where is that in your physical body? That’s the next step. Moving into a state of the observer, which is detached and yet supportive. That’s one of the most important steps. Bringing that observer into that place in your body, seeing in that place is a younger version of you that got stopped in a moment of upset. That created a set of beliefs and repressed a bunch of emotions at that moment. You allow the little one to express the emotions that it wouldn’t have been safe to express the first time it happened. Finally, unwind, purge that original upset which is fueling the current beliefs deep in the subconscious. You allow that little one to feel and express it so simple. Some people don’t believe it until we do it, but it’s so simple. It creates a tremendous healing and then I ask the little one, “What is it that you need now?” which shows me the truth of who am I, the light of who I am. I do that process every day. I also do another process called the Ho’oponopono, a forgiveness practice every morning and every night. It’s fifteen minutes in the morning before I get up, fifteen minutes at night before I go to bed. I do that practice every day. I do it as a global thing for my tribe. I say to my whole tribe, “I’m sorry. Please forgive me. I love you. Thank you.” I do the STT version of it. I overlay some of the concepts of STT over top of it. For our audience who are not familiar with Ho’oponopono, how would you teach it? Go ahead and teach it. Knowing Your Soul: Part of the STT process is to engage the mind because when the mind is chewing on something, it allows you to manifest with clear thought. I’ll teach you the STT version that I use. Part of the STT process is to engage the mind. When the mind is chewing on something, the mind is the manifester of the world. When it’s chewing on something, it allows you to manifest with clear thought. I like to give the mind lots to chew on. I love to recognize. When the mind is recognizing, it’s a partnership with the heart. That’s why I do the Spontaneous Transformation version. I’ll share that. I might not have done it, but I had a thought about it. “I’m sorry. Please forgive me. I love you. Thank you.” These are four beautiful statements, you can do it anytime. I’m glad this came out during this episode because I don’t know that on a podcast I’ve discussed that specific process or that beautiful way of experiencing both self-forgiveness and forgiveness for everything. For all that isn’t and wasn’t will be. It’s a beautiful thing. Osho said that you can forgive every moment, and I read that many years ago and didn’t quite understand it. There’s a depth of sensitivity, compassion and wisdom even to realize that there is something to forgive in every moment. There’s something to be grateful for in every moment. Talk about front and back of something that’s a beautiful, golden coin. What a blessing. I’ve enjoyed our conversation. I want to thank you for being on the show. I wanted to ask you if there was something about yourself that you wanted folks to know, that way people can find out more about how they can work with you. I would love it if people would do that. Follow through and want to learn more, discover more, and spend more time with you. You give and it’s great to know that that’s a part of your soul’s journey to be such a great giving soul. What’s cool about it, I’m feeling that people who might feel that way might also think that they set themselves up to be taken advantage of or that they put themselves second somehow. That they’re not looking out because other people whose soul’s journey is not to do that might say to them, “You’re not being smart. You’re not being financially or businesswise astute.” That’s a challenge. Thank you for being the giving soul that you are. It’s my absolute filled up pleasure. For all of you out there, wherever you are, I want to express a wish, a prayer, a hope and a gift for all of us. That is that you wake up, I wake up and Jennifer, that you wake up, that we all wake up tomorrow. We’ve got to wake up today. By waking up I mean metaphorically, of course, that we wake ourselves up a little more today than yesterday. That’s a good progression. The trajectory is positive if we’re a little more conscious today than we were yesterday. What a beautiful goal to have. There’s also no guarantee that we’ll wake up tomorrow, just like there wasn’t a guarantee we’d wake up today. That’s important because as we do take that first breath of the morning, many people are ritualistically, habitually reaching for their cell phones. They’re jumping out of bed to go get the coffee, get the kids, get the car, get to this and get to that. They get right into the doing mode. Where we started this conversation was about being. My wish, my hope and my prayer is that we all wake up tomorrow. In that moment that we are waking up and taking a deep, conscious breath that we realize that’s a gift. There are people who will be taking their last breath at that moment. They will be taking their last breath as we’re taking our first. There’ll be babies born who are receiving their first breath of life as well. It is a sacred moment. It’s a moment we can be grateful for. The beginning of the day is a powerful time to be planting seeds. Our subconscious is rich soil to be planting seeds. Our three-step morning, waking ritual, it’s those first few seconds that are precious that we wake up, that we’re in gratitude at that moment for that breath. If you’re willing to say these words, “I love my life. I love my life. I love my life,” it’s a beautiful way to express yourself first thing in the morning. Express what’s most important, which is that you truly do love yourself. I love myself. I love you, Jennifer. I love all of you out there. I wish for you that you are paying attention to your soul. When your soul is speaking through whatever means it might be speaking, it could be that it’s pain and it’s suffering. It might be that it’s speaking in a gentler way to you, that you’re prepared, open and willing to listen. You do love your life or that you’re willing to be open to loving your life that much more. Have a beautiful rest of your day wherever you are in this moment. Many blessings, and we’ll see you soon. Jennifer McLean is an internationally acclaimed Healer, Author, Speaker, Edge Pusher, and Transformational Change Agent. She is the creator of the renowned healing accelerant “The Spontaneous Transformation Technique (STT),” that delivers instant transformation and healing in 7 – 10 minutes. With over 800 practitioners in training in this unique system it is quickly becoming a “go to” for creating real rapid change in extreme times. For more than two decades, STT has helped tens of thousands of individuals shift held energy in the body. This system of healing has supported individuals to successfully liberate themselves from old hurts, and patterns of obstacles that lead to disease and upset, and to create new neural pathways of a new pattern of Quantum Wholeness.